Admire breathtaking views from Cedar Summit, a newly remodeled end-unit in the Carnelian Woods townhome complex with space to sleep five. Enter on the main level and notice the large windows drawing you to the lake view—it changes with the weather and time of day. Admire the alpenglow—German for the rosy light of the setting or rising sun seen on high mountains. 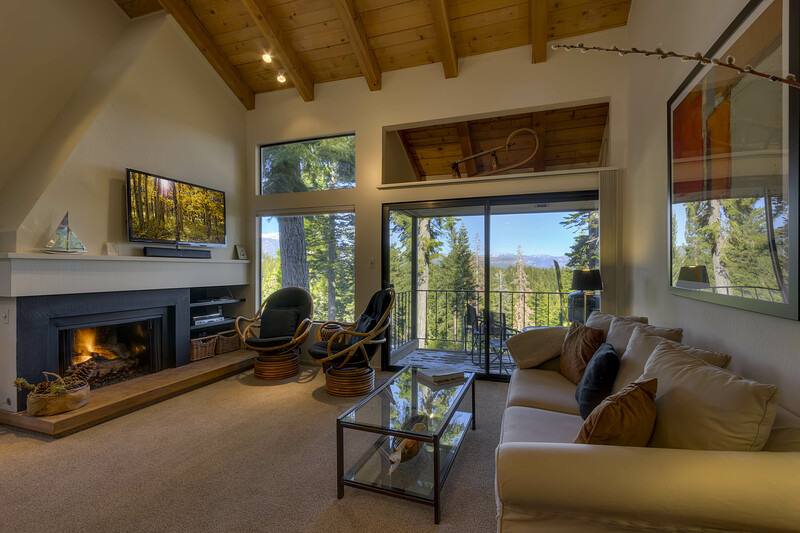 From the living area inside and covered deck outside, there are terrific views of Lake Tahoe and the Sierra Nevada mountains. After the sun goes down, get cozy on the comfortable sofa and warm up by the fireplace with a mug of hot cocoa or a hot toddy. Catch up on cable news or watch a movie on the flat panel TV with sound bar. There is Wi-Fi when you need to get connected. Step onto the covered deck to barbeque steaks or chicken for dinner. Finish meal prep in the recently renovated kitchen, open to the living area and featuring new appliances, granite counters, and plenty of cabinet space. A dishwasher makes clean up a snap. There is seating for two at the breakfast bar and a dining table with four counter-height chairs nearby. The bedroom features two twin beds, a TV with cable, and a large window. The living room sofa also transforms into a sleeper. The main floor has a full bath with a vessel sink and rock-chip edge counter. A washer and dryer make it easy to pack light. 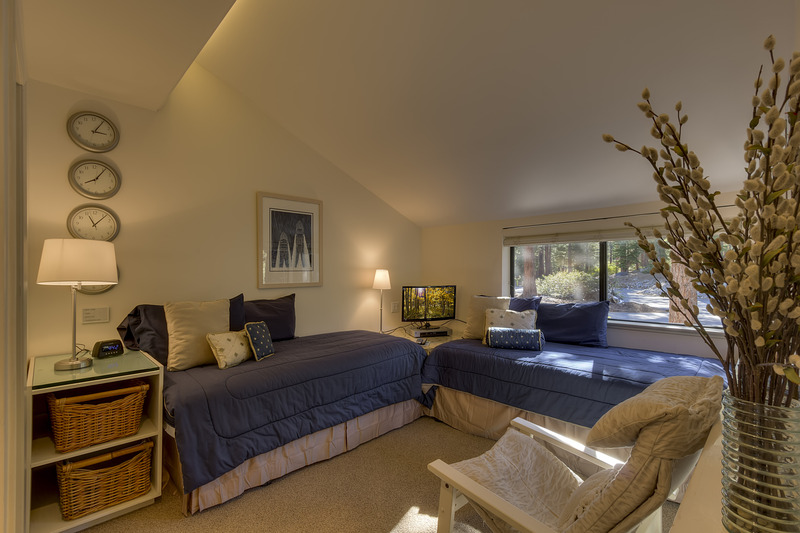 On the second level you’ll find the master suite, which includes a new California king bed, a TV, and a large desk. Prepare yourself, Cedar Summit’s master bathroom is like no other! The perfectly-placed windows offer forest views while maintaining privacy. Soak your cares away in the jetted bathtub for two with convenient wand showerhead. The rental unit was clean, modern, with great views and a romantic bedroom/bath loft with jetted tub. Very nice! Great accommodation, well furnished and maintained - fantastic views! Nice that the property had two bathrooms. We had a couple of minor technical issues which were resolved on the day that they were reported - couldn't have asked for more. Would certainly recommend this property. Wonderful stay at Lake Tahoe, very well presented property in a great location and really good facilities. We enjoyed our stay. It's a beautiful condo with a great location and decent view of the lake. The only complaint we had was when the power went out, we were directed to call the power company ourselves to resolve the situation. It turned out there was a system wide power outage which the management company couldn't do anything about, but having us make that call is not what I would expect from a professional management company or even a private owner. The rest of the check in and reservation process was thorough, detailed and easy to follow. I had a great stay here with my wife and two little kids. The property is far roomier than the pictures made it look. The view is outrageous. There is a ton of forest to walk in and the place is very quiet and feels secluded even though it's only a 5 minute drive from the main road -- which is also where the lake is. Highly recommend. Highly recommend. I only hope this place is available for our anniversary. Clean, great service, great value. Excellent location for skiers, close to numerous resorts. The condo we stayed in was great! It was clean and had everything we needed for a great vacation. The amenities in it were amazing. The only complaint I have is my interaction with the office staff was a little unprofessional. My boyfriend and I went to the office to play some of the games provided in the office, we got there around 3:30 and we were in formed that the office was closed. We told the man that we were told the office was open until 4pm and he said they were on "Tahoe time" and they were closing early. Also, we tried to play the air hockey and after we put the money in and the puck didn't come out we asked someone if it was broken and they said yes it is but there was no sign on it but they already knew it was broken. They gave us the "oh well" look. It was a great place to stay except the plumbing was bad. Toilet, sink and shower would always clog. Other than that, a beautiful place to stay. We had a great stay. Property was very nice and made us feel at home. The kitchen is stocked with pretty much anything you need. There are board games and extra movies. My kids, age 9 and 6, enjoyed the jenga blocks with their trucks while warming by the fire. The view from the condo is amazing! It almost feels like you are all by yourselves in the forest! We would like to come back in the summer sometime. Lots and Lots of snow while we were there. We enjoyed having the full size washer and dryer. I didn't feel like there was a ton of closet space for coats and hanging items but there are several drawers. There were a lot of extra blankets to snuggle up by the fire. The master bedroom is in the loft and is open to the stairs. It didn't bother us but that is unclear in the pictures (no door for privacy). Also the master bath shower is basically an open shower in the jacuzzi tub. I didn't really enjoy that in the cold so i did my showers downstairs. Overall it was a great stay and we would definitely stay here again!! A fantastic vacation home that exceeded our expectations. A well-equipped kitchen, a beautifully decorated townhouse with a large whirlpool tub and mirrors and Windows that added a spaciousness to this cozy rental. Situated in a quiet, wooded area, this place was perfectly supplied with books, DVDs, and games. We really enjoyed our stay. The place was clean, had amazing views, and was super close to the lake. We enjoyed the outdoors during the day and played board games by the fire at night. Was a lovely experience! Only thing that we didn't love was the hours of the pool (10-7) and hot tub/sauna (12n-845p). And the rules against bringing any kind of liquid into the area (even water). We would have enjoyed an evening dip in the hot tub after a day of hiking and a nice dinner... but it was closed. In general, there weren't many people using these facilities... and we believe the hours and rules are the main reason. We were very pleased with our stay at Cedar Summit. The unit was nicely updated and had everything we needed for a comfortable stay. The view of the lake was fantastic and we enjoyed morning coffee and afternoon cocktails on the deck. Hope to return next Fall. Everything was superb. The condo is extremely beautiful with nice location and amazing views of the forest and lake. The kitchen is equipped with everything we needed. The master bathroom door got stuck and the maintenance people came considerably quickly. We had an amazing time with the fireplace and the hot tub. Everything was good. We will definitively come back next year, hopefully. Thank you very much for this place at an affordable price. It was a dream come true. - Liliana and Jesús E.
this is the first time rent a carbin , it is a wonderful experience! the lake view house totally as same as picture described. We arrived at snowy night ,it is little be hard to find the house, Trent is very nice and patient,continued instructing the correct position. we got a amazing holiday in this house and would like come bake again! Breathtaking View! Perfect place to Stay! We highly recommend this place! Perfect place for our family to stay. Enjoyed the condo-it was clean and beautiful place. The view of Lake Tahoe was amazing! We saw the sunrise every morning. It was perfect driving distance to local ski resorts. I would think it would be lovely to stay here even in the summer. We enjoyed several great restaurants in the area and liked the kitchen to make simple breakfast and snacks. Wonderful vacation! Thank you so much for this great place! The property and unit exceeded our expectations. Lovely wooded area with lake views. Well appointed cabin with all amenities. We enjoyed our stay and kept busy with all there is to do in the area. Appliances were very nice and we were very comfortable. Relaxing stay! Our unit was very clean, well decorated, and had a beautiful view of Lake Tahoe! This place was incredible. Beautiful views, very clean inside, nicely stocked kitchen, very family-friendly! Furnishings were all very good, although the upstairs bath tub is not usable for old people. Getting in and out of it is impossible. Garwoods and Jakes on the Lake are highly recommended restaurants. Perfect accommodation in a beautiful setting. Booked through airbnb. First time that has also resulted in working through a property Manager. I expected a response based on feedback I gave at checkout as well as confirmation of checkout, and did not get either. This property was all it said it would be and then some. We felt right at home from opening the door to sadly leaving. The ambience and decor really satisfied our need to feel we were in a special place. 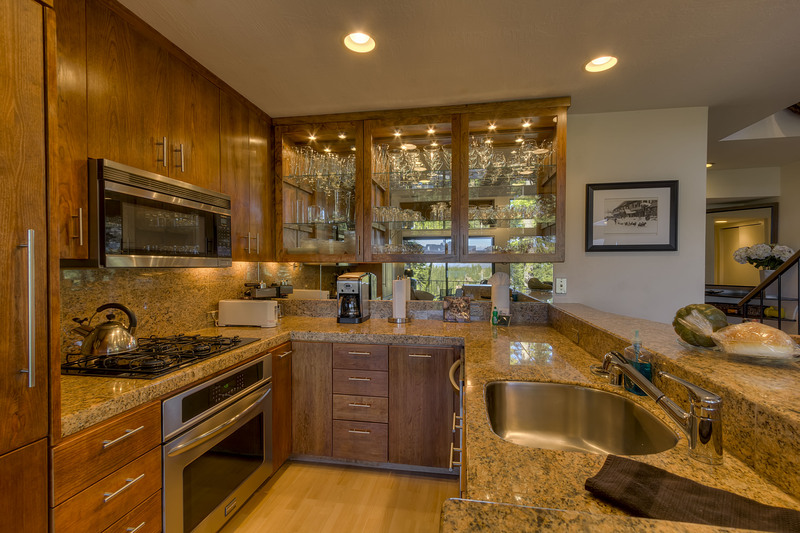 The beautiful lighted glass cabinets in the kitchen with equally beautiful fine stem ware for all occasions. Nothing was left to chance. The convenience of the new washer and dryers to the flip of a switch for an instant toasty fire. The sub zero frig was awesome with plenty of ice and easy access for food. My husband really appreciated the large desk area to work from and the Wi-Fi. The master suite was especially beautiful . I am fanatical about bedding and the high quality linen,pillows and bed were absolutely perfect!! Even the wildlife (chipmunks) were great fun and entertaining. Don't get me started on that fabulous view of the most beautiful lake. I could go on but you get what we are saying. Our stay at Cedar Summit, Carnelian Woods was peaceful and luxurious. 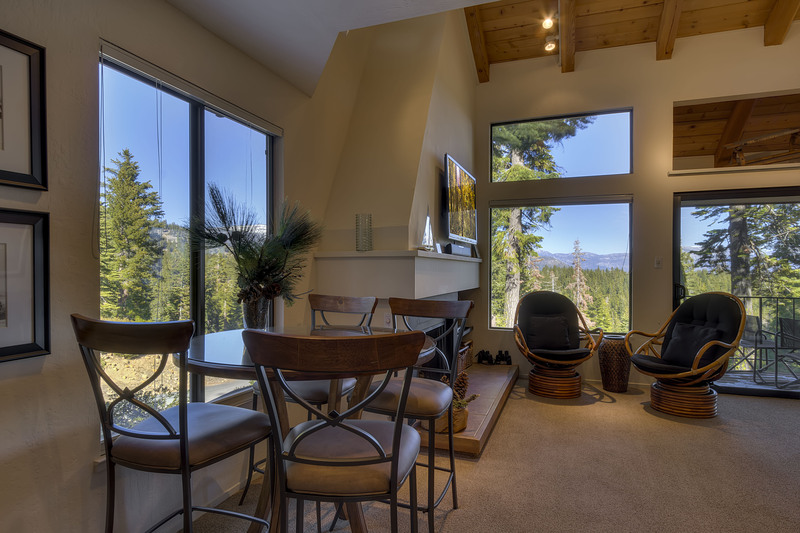 The accommodation is in a convenient location within a short drive to Kings Beach and Tahoe City. The setting within the large woodland provides privacy and is away from the lakeshore road so very quiet. The on site amenities are extreme well looked after and the swimming pool a good size. The accommodation is excellent with everything you need, the owners clearly use it and have fitted it out well. Family and friends joined us for the 4th July and were very impressed with the accommodation. We would happily recommend this property and location. Clean, updated and quiet. The condo had almost everything we needed. Although, we could have used a couple beach chairs and beach towels. We had a great time. We had our 17 yr old daughter and her friend with us it was a great place for all of us. Lots of snow and lots of windows to see everything. My wife does yoga and I am a cyclist. Perfect fit for both of us. The kitchen was perfectly equipped and gorgeous. the bar-b-q on the patio was a wonderful addition. Bed was just as comfortable as at home. My wife loved the jet bath in the master (I used the shower downstairs which was great). We have already told friends and family about how great our experience was. Oh, and the view from the patio is great, 2 sets of binoculars for bird watching included! Well appointed with high end appliances and amenities. Perfect for our family of four. The tub was great and the place very comfy, clean and convenient. Really liked how bright the spaces were, lots of natural light not your typical dark Tahoe cabin. View of the lake was great, I got to watch the sunrise each morning. Management company was great, pilot light on the fireplace was out but they came and lit it for us while we were on the slopes. Hope to stay their again in the future! top of the world. ..
Our stay at #cw136 was absolutely beautiful the condo was clean, warm and very comfortable. The views from any Window in the house were picture perfect. Especially the view from the deck over looking the lake and mountains. It was everything we hoped for and then some. We thank you very much. And we will definitely be seeing you again. We were very satisfied with everything. The cabin was beautiful. Beautiful scenery, peaceful ambient. I expected less of the cabin, once I saw it I was In awe. Loved it all. We have been renting Carnelian Woods condos for the past 5 years 1 to 2 weeks per years and this one is now our favorite one (when we are just 3 or 4 people). We had a fun time at Lake Tahoe. Boat trip from Tahoe City to Emerald Bay; visit to 'Castle' on East side of lake and also Sugar Pine Lodge. We enjoyed a great dinner in King City. Good weekend. This was the second summer that we rented this unit. It was very comfortable and added to the vacation experience. The condo is very comfortable for 4. Nice touches: the jacuzzi in the bathroom upstairs, the little gas grill on the porch, the multitude of glasses and plates available, how well maintained everything (appliances included) was. One of the steps of the entrance stair broke, but they fixed it on the same day. 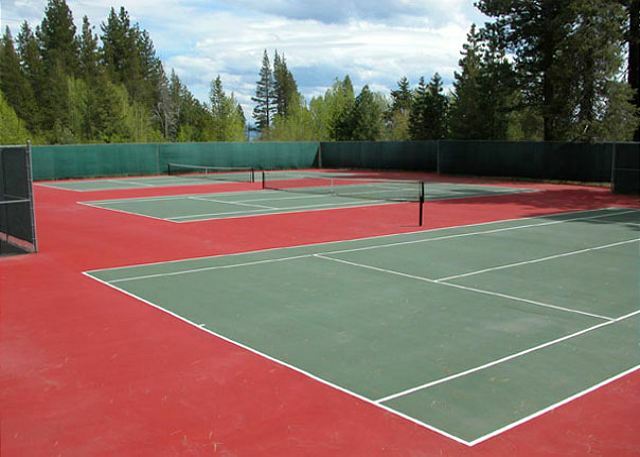 The pictures are faithful and the condo is convenient for all areas North of Lake Tahoe. Beautiful, quiet, has everything you need and then some! This condo has gorgeous views throughout, even in the bathroom and kitchen. It is very clean and has everything you might possibly need for a comfortable stay... and then some! The owners have thought of everything. There are a number of fun games for the whole family. All are brand new, so you know the owners cared and got them to make sure that you have a fun stay. They even got brand new picnic supplies, along with paper plates, cups and utensils, to make sure you don't have to worry about those during your trip. There is also every single piece of cutlery, china, utensils, appliances, etc, that you can think of and might possibly need. Indeed, the best vacation rental I have ever stayed in at Lake Tahoe! I have stayed in several units in this complex over the years and this is the best one yet. It is a corner unit with lots of windows with beautiful views of the forest and lake. The unit has been luxuriously remodeled with many nice features and extra touches. We will come back again. 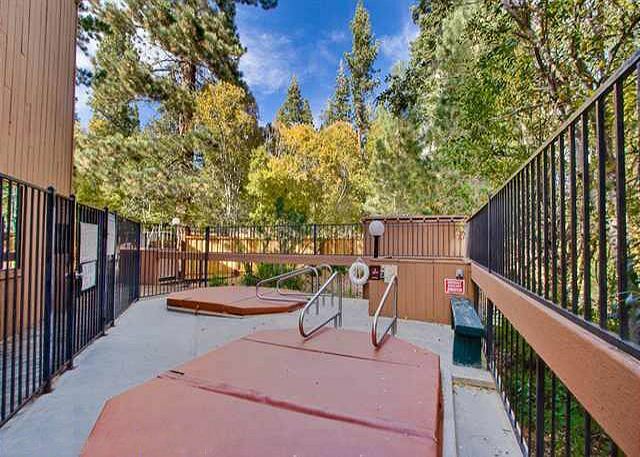 This condo location, is modern, cozy, and comfortable and ideal for a small family to enjoy the natural beauty and surroundings of Lake Tahoe while still enjoying modern comfort and convenience.